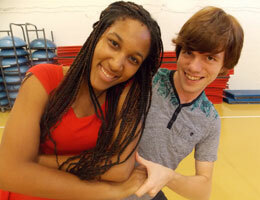 Inside the classroom: Looking for “Dancing with the Stars”? This class isn’t for you! Instead instructor Erika Phillips promises that if you have two left feet, you can dance and have fun in a relaxed, social setting. She makes this beginner class easygoing, teaching the basics of ballroom, rumba, salsa, fox trot and other dances. 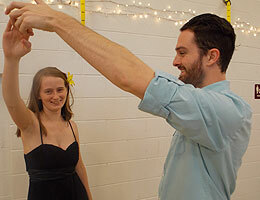 Regularly, former students return for a dance night, when the room is lit by strings of holiday lights, and everyone is encouraged to grab a partner. Why this class sizzles: “The students. Whatever they bring into the classroom is what the class becomes. This class is really about finding a place to belong. We say in this class, from here, you can dance anywhere.” – Phillips, who has taught dance, nutrition and fitness classes at TCC for five years.